All of our taverns are designed to be slotted into just about any adventure, but this week we bring you a few specific 5e RPG adventures that can easily host a Tangible Tavern or two. 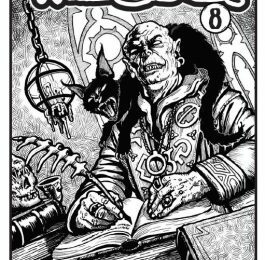 If you missed our list of PFRPG adventures ripe for a Tangible Tavern, you can find that here. 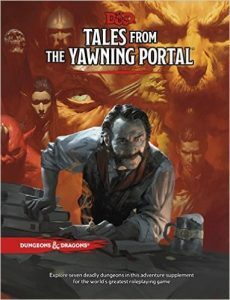 The newest Dungeons & Dragons 5th Edition campaign book is the best yet, in my opinion. The stakes are high, with the dread lich Acererak hijacking the power of the gods to prevent the resurrection of the fallen, as well as causing those who have previously been returned to life to rot away. What is he doing with this power? It remains to be seen (by the PCs), but he is a dread lich, so he probably isn’t using it to make snickerdoodles. In the midst of all this magical madness, once they have left the mostly safe confines of Port Nyanzaru, there will be a lot of jungle to trek through. A lot of jungle that our newest tangible tavern, The Hut, would fit into perfectly. The Hut makes a great place in the middle of a hostile location where the PCs can catch their breath, eat some of Mama’s cajun inspired food, and make contact with some potential allies such as giant-hunting Tryx and her companion Astra, or the tracker Dexter. Pick up Tangible Taverns: The Hut today. 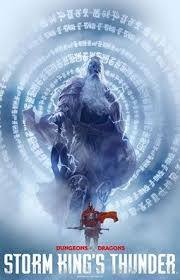 Set in the Savage Frontier of the Forgotten Realms setting, Storm King’s Thunder has a lot of trackless forest to quest through. If the PCs aren’t all druids or rangers, they’ll likely think that each tree looks like the previous one, and may become bored. Should this happen, The Hidden Oak is perfect. A tavern formed in and under a massive tree, it can be placed anywhere that a Dungeon Master might need it. Being filled with misfit forest denizens, the PCs can make some contacts, possibly receive information or even assistance from the mysterious sage Crescenzo, and leave with full bellies and slightly improved abilities from Beatrice’s magical food. When the fight against the giants gets too intense, don’t be afraid to put your feet up for an evening or two. 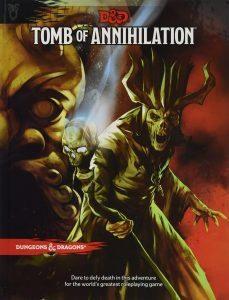 While this selection is interesting, being a collection of smaller dungeon-based adventures rather than a longer campaign, there’s still room for a tangible tavern in there, right in the first adventure in the book, The Sunless Citadel. The town of Oakhurst, lightly detailed in the adventure, has a tavern, The Ol’ Boar Inn, which has almost no details provided. I would do away with the poor Ol’ Boar completely and let the PCs have a little fun and a good meal at The Bull & The Bear. Not only can they pick up on the local rumours, have a drink, chatter with the regulars, and flirt with one of the three tavern employees detailed, after they return in victory from the titular dungeon, they can spend some of that hard earned swag on soft (or hard) company on the tavern’s upper floor. Pick up Tangible Taverns: The Bull & The Bear today. 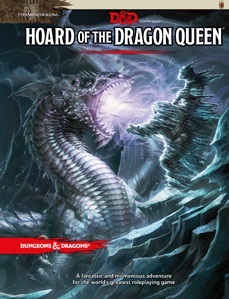 While the first 5th Edition adventure, Hoard of the Dragon Queen has a few issues in presentation such as references to rules that didn’t make it into the final game, and missing map tags, it’s still a solid adventure that pits a party of PCs against lots of the iconic reptiles. The adventure keeps a pretty steady pace, but it does make a stop in the city of Baldur’s Gate (as an aside, I would totally make the time to run the excellent Murder in Baldur’s Gate adventure while there). Baldur’s Gate is a large cosmopolitan trading hub, and as such is a great fit for three of our offerings: The Delectable Dragonfly, Simon’s Dinner Theatre, and The Angelic Imp. As a female-identifying persons only establishment, The Delectable Dragonfly is a good place for DMs to place information that they want their male characters to work to get, or it’s just a great place for the right people to get some finger sandwiches along with the lay of the land. 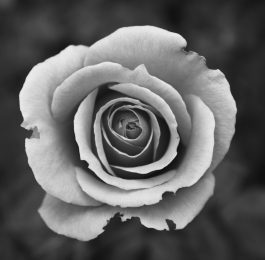 The Angelic Imp, on the other hand, is open to everyone, and could lead to an interesting meal or a night of clandestine meetings. Either way, everyone wins! 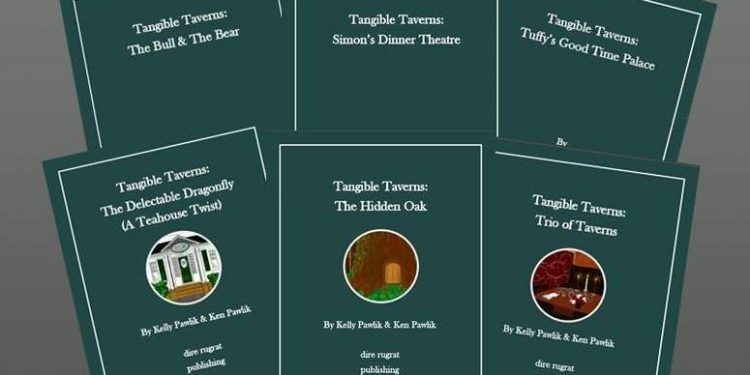 Pick up Tangible Taverns: The Delectable Dragonfly, Tangible Taverns: Simon’s Dinner Theatre, and Tangible Taverns: Trio of Taverns today. 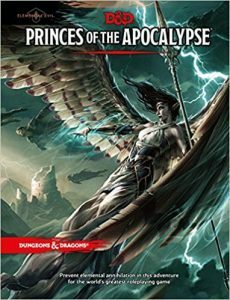 Princes of the Apocalypse provides a pretty good set up for DMs that want to run their players through a dungeon heavy sandbox filled with elemental themed cultists. It also has Red Larch, a well detailed settlement included in the book. While you might want to include a tangible tavern in the town, I would actually just use the provided Swinging Sword Inn; however, I would have the proprietor, Kaylessa Irkell tell them about Blackberry Bill’s, a tavern located between Amphail and Goldenfields, where they can rest and possibly get further information about the goings-on around it. Blackberry Bill could also possibly be enlisted in the fight against the elemental cults if the going is getting a bit too tough. 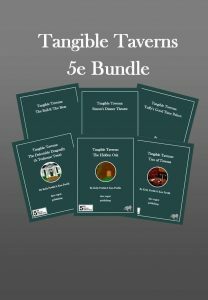 Once again, you can pick up Tangible Taverns: Trio of Taverns today.